As Apple prepared to launch the iPad, the App Store started filling up with a slew of iPad apps (there are currently over 3,000 and counting). 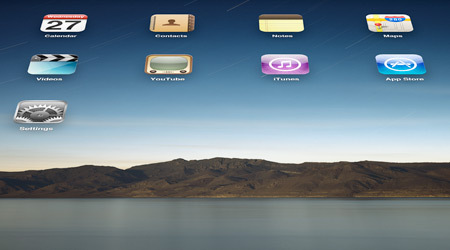 Gizmodo has a great list of essential iPad apps, many of them free. Meanwhile, TechCrunch posted a list of the best iPad apps at launch. The Unofficial Apple Weblog also listed some interesting-looking apps. Finally, if you’re so inclined to see what goes on inside an iPad, iFixit has gotten hold of a production iPad, taken it apart bit by bit, and posted lots of photos. Lovely! Being in Australia, I’ll have to wait until at least the end of the month to get a look at the iPad. Meanwhile, have you bought or used one? What’s your experience – do you love it or hate it? Will it replace the netbooks (and maybe even the odd laptop) in your home? This entry was posted on Monday, April 5th, 2010 at 9:04 am	and is filed under Cult of Mac, Hardware. You can follow any responses to this entry through the RSS 2.0 feed. Both comments and pings are currently closed.